On the ancient planet, Antea, Aero and his brothers struggle to fight off an evil universal force that seeks to end their race. 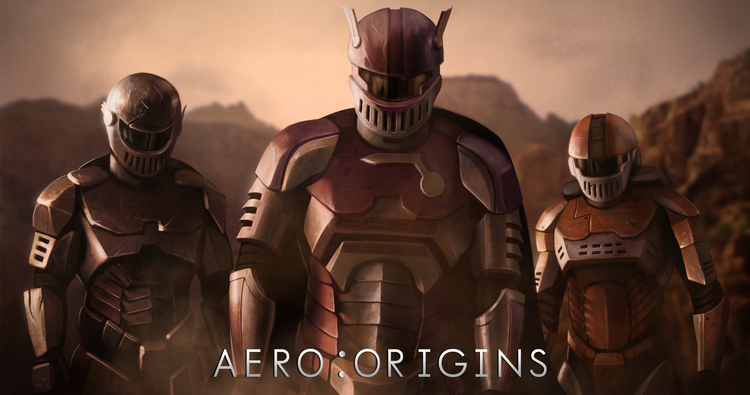 Aero Origins - "Genesis" is the first chapter in the animated web series about the super hero Aero created by director and producer Arturo Vargas and Desertski Films. Dark clouds shroud the planet Antea. A demonic army waits outside the city gates of Genesis. Aero and his siblings create a plan to repel the force away from them. Pro Tools Operator: Miklos Lukacs Sr.
CHAPTER II, CHAPTER III, CHAPTER IV and CHAPTER V was recorded with Budapest Scoring Strings, Brass and Choir. Orchestrated, mixed and produced by Christine Hals. Solo vocals by Christine Hals.